Picking a word to inspire everything you do in the year ahead really helps drive the intent behind your actions and provide you with an omnipresent purpose. Last year I chose 'forward' and I feel I did a good job of always keeping it in mind, particularly when making the decision to become full time self-employed. This year I'm choosing 'explore.' It's the perfect word for how I feel about life right now. I want to explore more places; I want to explore the world by going on more adventures and I want to explore my creativity by trying new things and opening myself up to new opportunities. Happy New Year! This is such a refreshing way to consider a new year, I hope you get to do lots of exploring! Excellent word! Happy new year! One of my fave blogs ever, and my dear blogging friend, liz of www.belovelive.com chooses a word to focus on for a year! Hers this year is empowered! Such a good idea, Sophie! My word would have to be 'appreciate', this year I want to spend more time making the most of what I have rather than focusing more on what I don't. great word. :) i am going to go with 'intentional' for this year. hope you have an adventurous 2015 in every aspect! Exploring is also my goal this year. I want to see more places, experience new thing and people. Explore is a great word, and I love the idea of picking a word for the new year. I'll have to think of a word for my 2015! Bring on 2015, we need to all not be afraid to explore and discover! Such a good way of looking at the New Year! Awesome word. I think we could all do with appreciate everything we have a little more :)) Happy New Year. I choose "grow". I want to grow this year and improve some of my skills. Become a better version of me. Leave behind my fears and taking the leap - I'm often scared of everything and that limits me a lot. I have a similar word to you - adventure. I felt like 2014 was very work-focused and I am craving adventure. As much as I love routine, I want 2015 to include more spontaneous weekends, more travel, and to branch out with content on my blog. Thanks for sharing your vision for your 2015. That's an awesome word! Wish I'd thought of that xD My word is benefit! I had never even considered choosing a word to help me focus on my purpose for the year, so thanks for this post as it has given me something to think about! 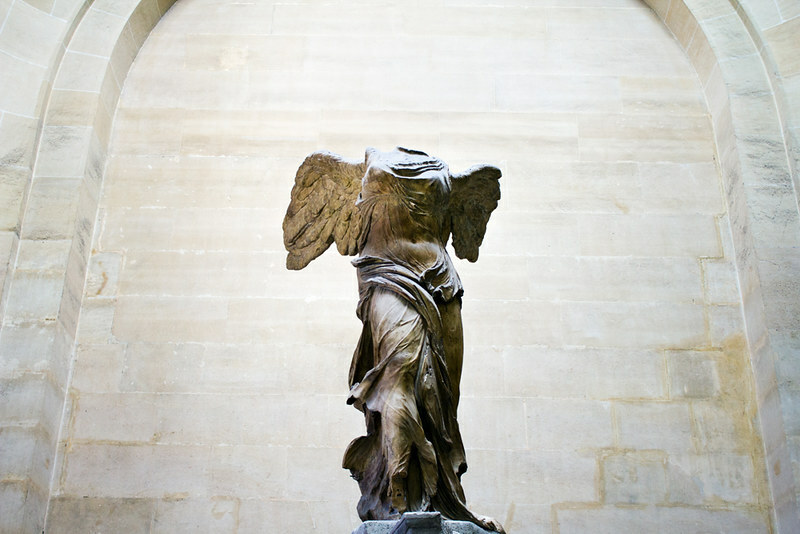 One of my favorite sculptures in the world. I would love to see it in person. I read about choosing one word for the year a couple of other places too, it seems like SUCH a good idea. It reminds me a bit of Neil Gaiman's thing, about imagining that your ultimate goal is a mountain that you're walking towards. Every time you do something or are faced with an opportunity, you should ask yourself if it is taking you towards or away from that mountain. I think having one word that you're accountable to and focused on for the year is such a great idea, now I need to think of one! That is exactly how I feel about choosing one word for the year; everything I do or consider doing, I refer back to that one word to check whether it falls in line with my goals and ambitions for the year. I would totally recommend trying it.